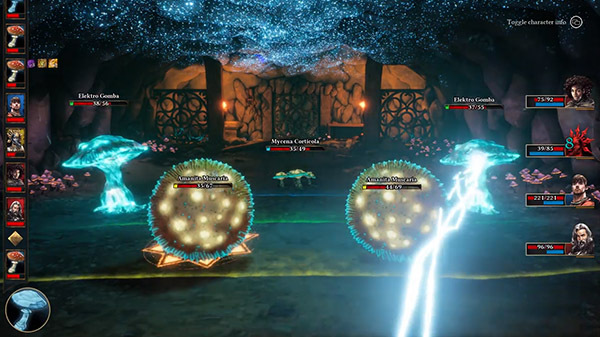 First-person dungeon RPG Operencia: The Stolen Sun will launch for Xbox One, including Xbox Game Pass, and PC via the Epic Games Store on March 29, developer Zen Studios announced. The land of Operencia is illuminated by the light of the Sun King, Napkiraly — but he’s vanished! And with him, all hope for the future of his subjects. It’s your quest—may we say destiny—to get him back before everything dies and the land falls into darkness. This journey will lead you through places right out of Central European legends, like cursed castles, deep dungeons, and even the seat of Hadur, the War God — The Copper Forest. Okay, this might be too much to put only on your shoulders. Don’t worry—you’ll have plenty of companions who will join you to share the burden. Like Sebastian, a veteran warrior willing to do anything for his beliefs—maybe a bit too much if you ask Joska… You’ll get to know others along the way, such as an actual star walking the world in human-like form, a stonemason plagued by the burdens of her past, or even one of the last members of the táltos order, shamans and witch doctors to Hungarian tribes of old.